SPECIAL OFFER PRICE FOR A LIMITED TIME ONLY! 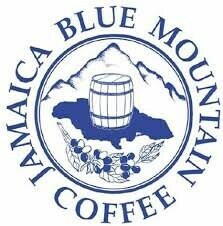 Jamaica BLUE MOUNTAIN Coffee is arguably the finest coffee in the world. The finest coffee in the world grown in the JAMAICA BLUE MOUNTAIN "the Roll Royce of all coffee"
This coffee has been tested and certified by the Jamaica Coffee Industry Board. Our dark roasted coffee has low acidity with hints of chocolate, nuts and citrus. Roasted and packaged in Jamaica. NOTE* SPECIAL OFFER PRICE FOR A LIMITED TIME ONLY! Jamaica True Blue Coffee is certified by the Jamaica Coffee Board as a product containing 100% Jamaican Blue Mountain Coffee beans. Our Arabica beans are micro roasted to perfection . This process maximises freshness, while maintaining a rich flavor and full-bodied taste. This combination of atmospheric and geographic location produces a coffee bean which is indisputably the finest in the world. The smooth taste of the Jamaican Blue Mountain bean is not only unique, but revered by all coffee connoisseurs. 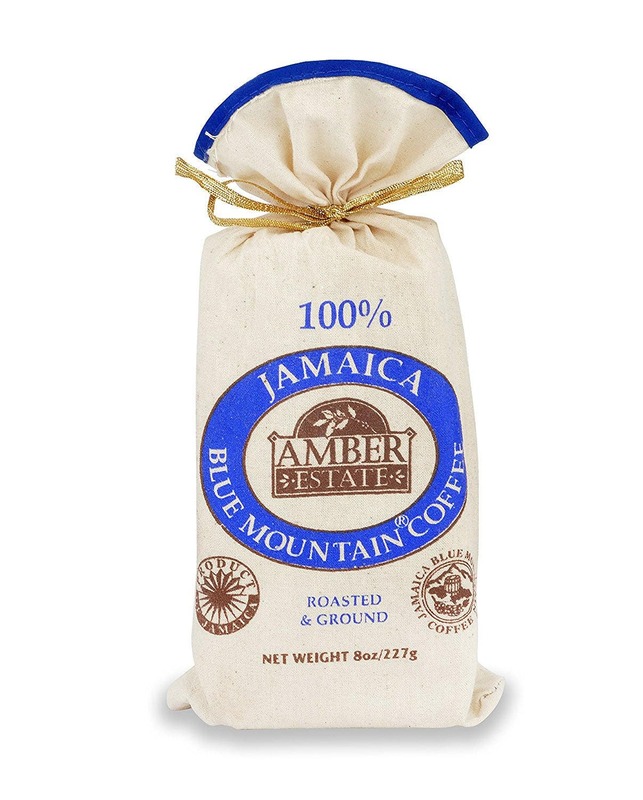 Jamaica Blue Mountain® Coffee is the name given to the coffee grown in the Jamaican Blue Mountains. Only coffee grown on farms between 3,000 and 5,500 feet can be called Jamaican Blue Mountain Coffee. The plants are predominantly of the Arabica variety, the clay soil and north-westerly facing terraces combined with the cool moderate Blue Mountain weather help to make the ideal conditions for growing the world's finest coffee. The unusual and rare quality of the coffee is obtained from a variety of factors, such as the amount of rain in the mountains (300 inches annually), the soil and the limited amount of sunshine. Jamaican Blue Mountain coffee berries take twice as long as other coffee berries to mature .This prolonged time on the coffee plant makes for the rich, mild flavour prized by coffee connoisseurs.